In spite of differences, most schools of Buddhism respect each other as valid. There is widespread agreement that any school whose teachings conform to the Four Dharma Seals can be called Buddhist. Nichiren Buddhism, however, was founded on the belief that the true teachings of the Buddha could be found only in the Lotus Sutra. Nicheren Buddhism bases itself on the Third Turning of the Wheel with its belief in buddha-nature and the possibility of liberation in this lifetime, and in this is similar to Mahayana. However, Nicheren maintains a hardline rejection of other schools of Buddhism and in this is unique in its lack of tolerance. Nichiren (1222-1282) was a Japanese Tendai priest who came to believe the Lotus Sutra constitutes all of the true teachings of the Buddha. He believed also that the Buddha's teachings had entered a time of degeneration. For this reason, he felt that people must be taught through simple and direct means rather than by complex doctrines and rigorous monastic practices. Nichiren compacted the teachings of the Lotus Sutra to the daimoku, which is a practice of chanting the phrase Nam Myoho Renge Kyo, "Devotion to the Mystic Law of the Lotus Sutra." Nichiren taught that daily daimoku enables one to realize enlightenment in this life--a belief that makes Nicheren practice similar to the tantric schools of Manhayana. However, Nichiren also believed that the other sects of Buddhism in Japan--in particular, Shingon, Pure Land and Zen--were corrupted and no longer taught the true dharma. In one of his early essays, The Establishment of Righteousness and the Security of the Country, he blamed a series of earthquakes, storms and famines on these "false" schools. The Buddha must have withdrawn his protection from Japan, he said. Only the practices he, Nichiren, prescribed would return the Buddha's favor. Nichiren came to believe it was his mission in life to prepare the way for true Buddhism to spread throughout the world from Japan. Some of his followers today consider him to have been a Buddha whose teachings take precedence over those of the historical Buddha. Daimoku: Daily chanting of the mantra Nam Myoho Renge Kyo, or sometimes Namu Myoho Renge Kyo. Some Nichiren Buddhists repeat the chant for a fixed number of times, keeping count with a mala, or rosary. Others chant for a fixed amount of time. For example, a Nichiren Buddhist might set aside fifteen minutes morning and evening for daimoku. The mantra is chanted rhythmically with a meditative focus. Gohonzon: A mandala created by Nichiren that represents Buddha-nature and which is an object of veneration. The Gohonzon often is inscribed on a hanging scroll and kept in the center of an altar. The Dai-Gohonzon is a particular Gohonzon thought to be in Nichiren's own hand and enshrined at Taisekiji, the head temple of Nichiren Shoshu in Japan. However, the Dai-Gohonzon is not recognized as authentic by all Nichiren schools. 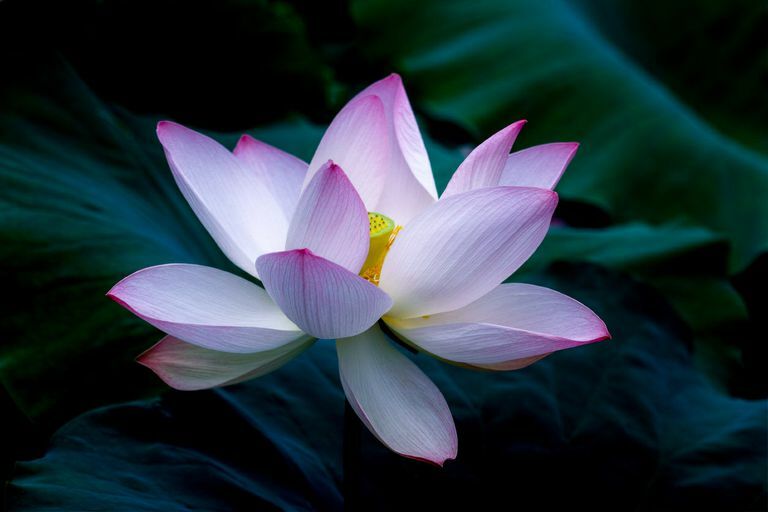 Gongyo: In Nichiren Buddhism, gongyo refers to chanting of some part of the Lotus Sutra in a formal service. The precise sections of the sutra that are chanted vary by sect. Kaidan: Kaidan is a sacred place of ordination or a seat of institutional authority. The precise meaning of kaidan in Nichiren Buddhism is a point of doctrinal disagreement. Kaidan might be the place from which true Buddhism will spread to the world, which could be all of Japan. Or, kaidan might be wherever Nichiren Buddhism is sincerely practiced. Nichiren Shu ("Nichiren School" or "Nichiren Faith") is the oldest school of Nichiren Buddhism and considered one of the most mainstream. It is less exclusionary than some other sects, since it recognizes the historical Buddha as the supreme Buddha of this age and considers Nichiren to be a priest, not a supreme Buddha. Nichiren Shu Buddhists study the Four Noble Truths and retain some practices common to other schools of Buddhism, such as taking refuge. Nichren's main temple, Mount Minobu, now is the main temple of Nichiren Shu. Nichiren Shoshu ("True School of Nichiren") was founded by a disciple of Nichiren named Nikko. Nichiren Shoshu considers itself to be the only authentic school of Nichiren Buddhism. Nichiren Shoshu followers believe that Nichiren replaced the historical Buddha as the One True Buddha of our age. The Dai-Gohonzon is highly venerated and kept in the main temple, Taisekiji. There are three elements to following Nichiren Shoshu. The first is absolute trust in the Gohonzon and in Nichiren's teachings. The second is sincere practice of gongyo and daimoku. The third is study of Nichiren's writings. In the 1920s a new movement called Reiyu-kai emerged from Nichiren Shu that taught a combination of Nichiren Buddhism and ancestor worship. Rissho-Kosei-kai ("Society for Establishing Righteousness and Friendly Relations") is a lay organization that split from Reiyu-kai in 1938. A unique practice of Rissho-Kosei-kai is the hoza, or "circle of compassion," in which members sit in a circle to share and discuss problems and how to apply the teachings of the Buddha to resolve them. Soka-gakkai, "Value Creation Society," was established in 1930 as a lay educational organization of Nichiren Shoshu. After World War II, the organization expanded rapidly. Today Soka Gakkai International (SGI) claims 12 million members in 120 countries. SGI has had its problems with controversy. The current president, Daisaku Ikeda, challenged the Nichiren Shoshu priesthood over leadership and doctrinal issues, resulting in Ikeda's excommunication in 1991 and the separation of SGI and Nichiren Shoshu. Nevertheless, SGI remains a vibrant organization dedicated to Nichiren Buddhist practice, human empowerment and world peace.